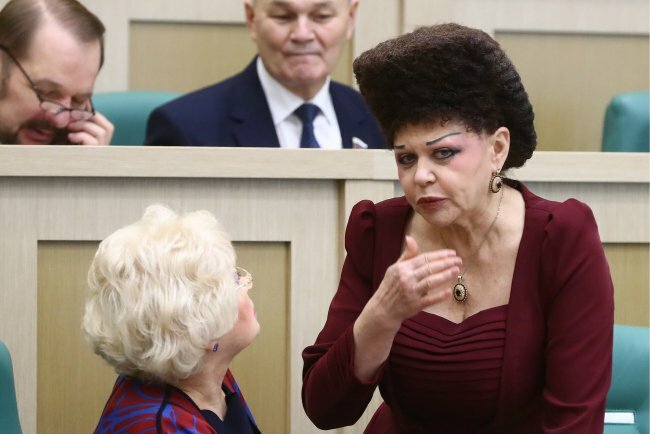 Russian politician curly hair: Valentina Petrenko big hair defies gravity. 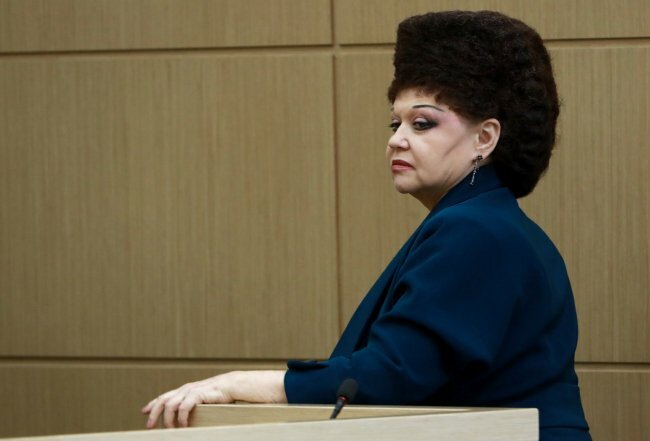 Behold this Russian senator's gloriously gravity-defying hair. We’ve learned something today: there are not nearly enough photographs of Valentina Petrenko. 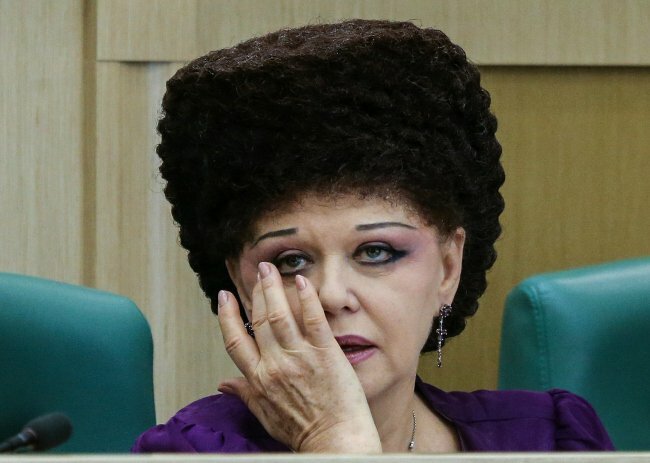 Not even after being sucked into a deep Google Image-search vortex do we feel we’ve seen an appropriate number of angles of the Russian lawmaker. And it’s all because of her glorious hairdo. The volume, the density, the surfaces, the height – dear Lord, the height. There must be at least 15cm of those tight, towering curls. Valentina Petrenko&apos;s glorious hairImage: Getty. We were hypothesising about complex combinations of blowdrying, teasing combs and industrial quantities of hairspray. But according to the Kazakhstan-born Senator herself, it’s substantially simpler. 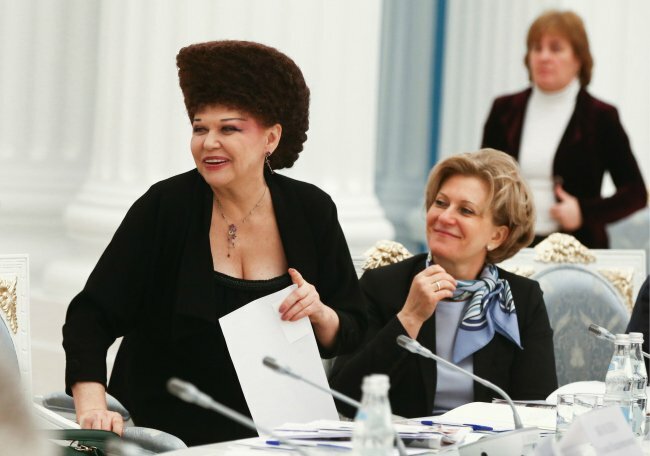 Big, coiffured hair is popular among Russia&apos;s female leaders. According to the hairdresser who caters to many of them, Larisa Bolotova, the style is considered to be "solid and impressive". 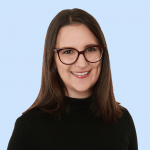 “No matter how hard we try to get our clients to change their old-fashioned hairstyle for a more natural look, nothing sounds better to them than helmet hair," she told The Daily Beast. It&apos;s essentially the hairdo equivalent of the palm-down handshake. A way to assert dominance, confidence. Not that Petrenko needs hair to do that. Throughout her career she&apos;s held a number of senior positions in the Russian (and former Soviet Union) government, including deputy head of the administration of the Rostov region and an adviser to the Minister of Foreign Affairs. As well as now serving as a senator for the Government of the Republic of Khakassia, she chairs the Federation Council Committee on Social Policy and advocates for Russian mothers. She&apos;s what you&apos;d call a, erm, big wig.